Thimphu is currently in the midst of record land prices, tenants being asked to move out in large numbers by landlords converting their buildings into hotels or service apartments, rising demand for increasingly scarce residential apartments and hotels coming up in residential areas. All of the above is linked to the increasing commercialization of Thimphu’s residential areas called Urban Village 2 (UV2) which covers most of Thimphu. 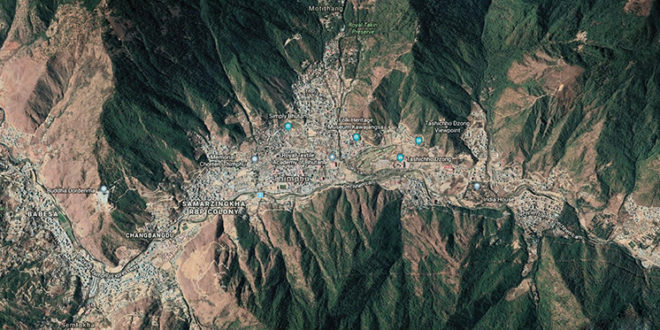 This residential area is all of Motithang and most of Changzamtog, Changangkha, Changbangdu, Olakha, Babesa, Taba, Hejo, Zilukha, Lanjophakha etc. This commercialization was made possible by a controversial change in rules by the Thimphu Thromde in 2016, that allowed the construction of hotels and service apartments and also increased the commercial space in these residential areas. The Thimphu Development Control Regulations (DCR) 2004 which is based on the Thimphu Structural Plan 2002 only allowed hotels in UV2 or residential areas on special permission if it had a 25 decimal plot. The large plot size would ensure that hotels ordinarily cannot come up in such areas, and even if they do, they would leave enough parking space etc. Another restriction in the 2004 rule was that only a 40 square meter retail shop or 30 square meter fast food restaurant per plot coming to around one to two rooms would be allowed on the ground floor. However, in 2016, the Thimphu Thromde’s Tshogde or council approved changes to the DCR whereby people can build Tourism Council of Bhutan standard hotels and service apartments without having to have the 25 decimal plot. This means that hotels and service apartments can now even be built on 10 decimal plots. This rule change has also removed the 40 sq. meter specification and it says that commercial uses like local level retail shops, fast food outlets, canteens, snack bars will be permitted on the ground floor going up to two floors as long as it is connected with the ground floor. The rules also allow a building to have two percent more area coverage if a ground plus four storey building has a lift. The new rules now also allow cinema halls in residential areas provided it is a 10 decimal plot as well as sports complexes with 40 decimal plot size. The Thromdes rule change has had a direct three-fold impact on residential areas. The first is that it has legitimized the pre-existing but illegal commercial establishments and hotels within residential areas; the second is that new hotels and establishments are coming up in large numbers; and thirdly existing residential buildings are evicting tenants and converting them into hotels and service apartments. The Ministry of Works and Human Settlement (MoWHS), which is the main agency looking after urban policy and development, appears to have woken up to this development only this year and it is not happy. 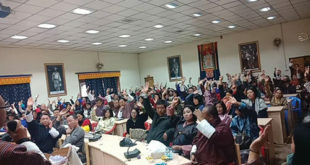 The MoWHS feels that Thimphu Thromde has carried out an illegal change in the rules as it changes the Thimphu Structure Plan and also because Thimphu Thromde did not seek the mandatory approval of the the ministry and the National Consultative Committee for Human Settlement, chaired by the MoWHS minister and comprising of six relevant government secretaries. The ministry wrote to the Thimphu Thromde in March 2019 asking them about how it made the rule changes. The ministry has not yet got any reply from the Thromde. However, when The Bhutanese spoke to thromde officials they cited the Local Government Act saying that since the Thromde has the power to make Local Area Plans under the LG Act, it, by extension, should mean they also have the power to make and amend the rules. Senior officials in the MoWHS, on the other hand, are convinced that the Thimphu Thromde has violated both the Thimphu Structure Plan and the Local Government Act. The official said that section 212 of the LG Act very clearly makes the MoWHS the main authority on structure plans and land use within Thromdes. The MoWHS had forwarded the matter to the OAG to seek legal opinion. “We know we are right but we want to be sure of our legal position and then we will take action,” said the MoWHS official. An official pointed out that the Thromde did not have to commercialize residential areas given that there are already enough provisions in the Thimphu Structure Plan for commercial areas. The commercial areas are in the form of the Urban Core which is the main shopping areas of Norzin Lam, areas below Doebum lam, Hong Kong market area, Sabzi Bazar, around Changlam etc. Urban Village 1 also falls in commercial areas and these are plots in Babesa, Olakha, Taba and Jungshina that directly abut the expressway or highway and have car showrooms and other commercial outlets. Apart from that there is also provision for commercial areas like Urban Hub which are for shopping and entertainment. There is also the smaller Neighborhood Node area in residential areas which allow commercial activities and are meant as the shopping space of the surrounding residential place. Urban planners are surprised that given the numerous commercial space already provisioned in the Thimphu Structure Plan, the Thimphu Thromde has gone ahead and effectively commercialized even the residential areas. The senior MoWHS official also expressed concern with the increasing numbers of residential buildings being converted into hotels, both in Thimphu and Phuentsholing. The official said that MoWHS would never allow such conversions as it not only means more load but all the breaking and remaking can also affect the structural integrity of such buildings. Another official pointed out that the original pressure was created by the 2010 Fiscal Incentives for Hotels which gives exemptions on sales tax and custom duty tax for imports of hotels fixtures and equipment during construction and after that a 10-year income tax holiday for new hotels and a five-year tax holiday for hotels refurbishing themselves to be three star hotels. 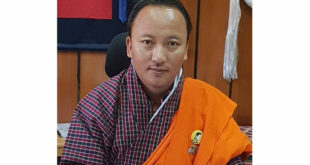 The Thimphu Thrompon Kinlay Dorjee said that the 2016 rules that were changed included amendments made since 2004 and also included the attic being approved as an additional floor. Here, the MoWHS officials pointed out that the attic issue had been approved by the first elected cabinet and had undergone due process unlike in the case of Thromde’s 2016 decision in residential areas. 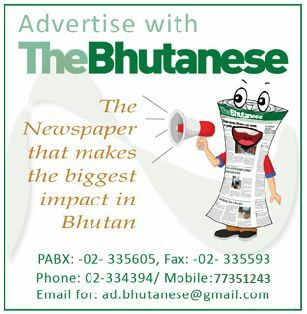 The Thrompon in regard to hotels being allowed in residential areas shifted the blame to the Tourism Council of Bhutan (TCB) and the Ministry of Economic Affairs saying that the TCB gives the hotel accreditation and MoEA gives the license. The Thrompon also said that people approach him to build service apartments and then get hotel accreditation from TCB. Here, MoWHS officials pointed out that it is not an acceptable excuse as the Thromde would clearly know a hotel is being constructed as hotels would have to submit the drawings to the Thromde. They also pointed out that while TCB gives the certification, it is for the Thromde to decide the location of the hotels. The Thrompon said that the Thimphu Thromde had left it to the ‘market forces’. On the issue of safety concerns of residential buildings being converted into hotels the Thrompon said that the Thromde looks into the structure stability and also recommends lighter dry walls. A source said that a close family member of the Thrompon was one of the first in Thimphu to convert their residential building in the Urban Core area into a hotel. A Thimphu Thromde official said that the 2004 rules are outdated and needs to be updated in line with the current developments. The impact of the commercialization of Thimphu’s residential areas in apparent violation of the Thimphu Structure Plan has had a huge impact on the ground. Though record high land prices have different contributors one factor has been the commercialization of residential areas which have overnight pushed up land prices in many areas. A MoWHS official said that one visible impact is higher congestion and traffic jams due to the increased density in these areas. He said there will also be an impact on the local utility services. Physically, it is also possible to see a wide array of hotels either present or coming up across Thimphu. There are 289 hotels in Thimphu and another 50 were approved in 2017 and 2018 and they would be completed by around 2020. Apart from the hotels there are also commercial service apartments in residential areas along with other increased commercial activities. 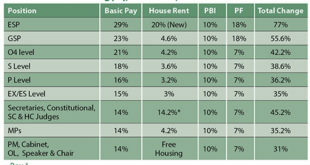 This led to residential tenants losing out as they are unable to pay the higher rates given by commercial tenants. Entire buildings have emptied of local residents to make way for hotels, service apartments or other commercial activities. Apart from housing issues, the impact of such uncontrolled construction of hotels in residential areas has meant an excess supply of hotels and many are not doing well but the rush continues unabated. Thimphu holds the bulk of the Nu 27.93 bn of tourism loans which are mainly hotels loans and this loan portfolio was the second highest in 2018 moving up from fifth place in 2013. The RMA is already concerned with such high numbers and an internal report suggests discouraging more hotels. The above issue also shows that the MoWHS which is based in Thimphu itself has been very poor at monitoring what has been physically going on under its own nose for the last few years and only now appears to be trying to find out what is happening.